3. Bake 6 to 8 minutes in preheated oven. Cool completely. 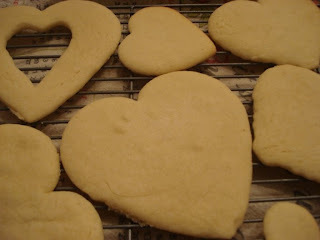 Looks good, I can't wait to see them frosted. 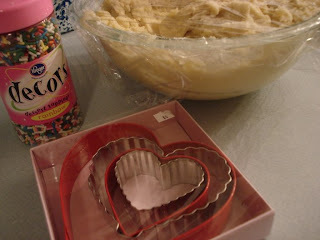 I'll be baking cookies Sunday, I have to work tomorrow. 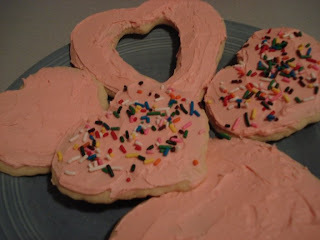 I don't know why I never thought to cookie-cut a hole in a sugar cookie, but that heart with a heart cut out of the middle looks pretty cool.